Heat your oven to 400 F. Prepare a muffin pan, with either paper cups or spray. In a small bowl, mix together the flour, baking soda and salt. Set aside. In another small bowl, combine the wheat bran and dried fruits. Add the boiling water and let sit. In the bowl of a stand mixer, beat the butter until fluffy, then add the sugar and beat until well combined and creamy. Add the honey and mix. Add the egg, mixing well. Mix in the buttermilk and flour mixture in three additions each, beating each addition until just combined. Stop the mixer and scrape the bowl. Mix in the bran mixture. Scoop the batter into the muffin cups. 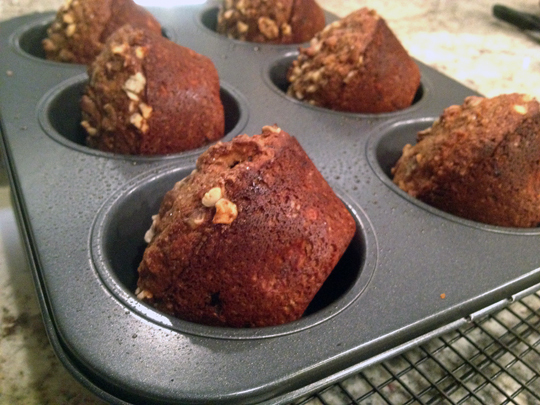 It should take about 1/2 cup of batter for each muffin if you are using a jumbo muffin pan. For regular muffin pans, use 1/4 cup. 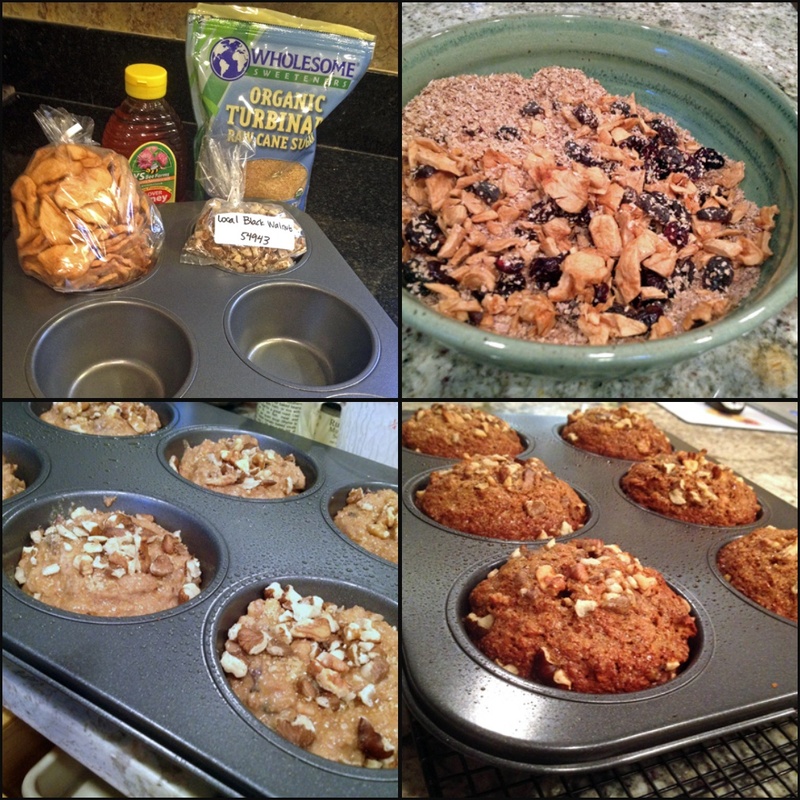 Top each muffin with a teaspoon of raw sugar and sprinkle with a teaspoon of chopped walnuts. Bake 20 minutes or until browned on top and a toothpick inserted in the middle comes out clean. These muffins are the ones that got the closest to those from Phil’s past. I have no doubt that the larger size helped a lot, so getting the jumbo size muffin pan was a great move by Sally. 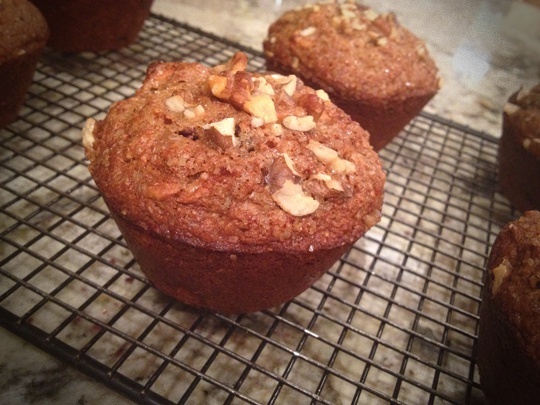 The topping adds a lot to these muffins, but I loved everything about them, from taste to texture. What can I say? I think I’ve been assimilated. 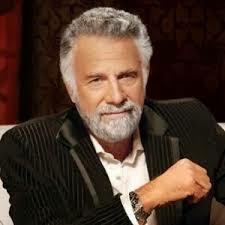 “I don’t always eat breakfast, but when I do, I prefer a bran muffin”.